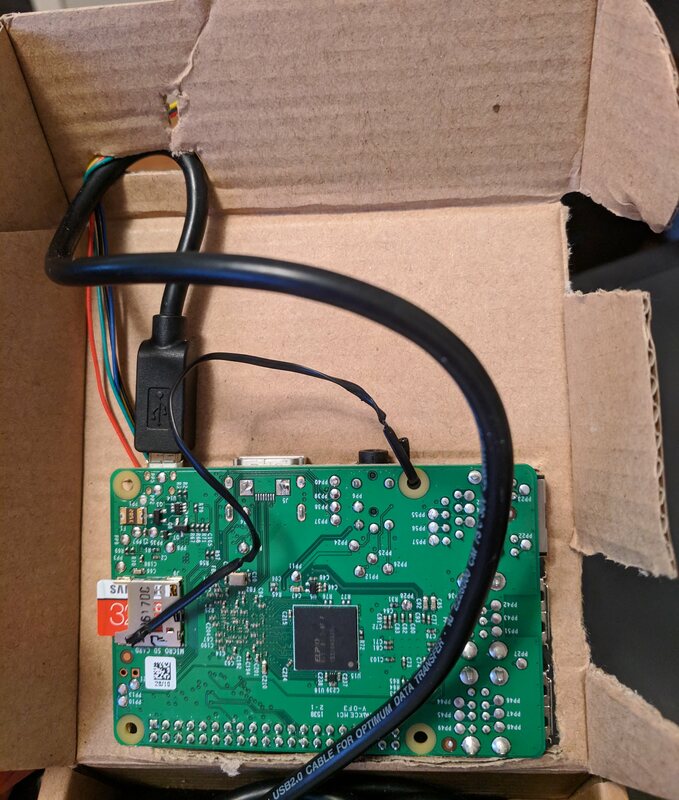 With halloween coming up, I stumbled on this guide to build a voice modulator out of a Raspberry Pi. I decided to give it a shot and built one with some tweaks to make the UI more effective. Mask or whatever you want to hold it with. Could go well with something like this. Something to hold it up. I tied it to my beard, but you could use playdough or something similar. 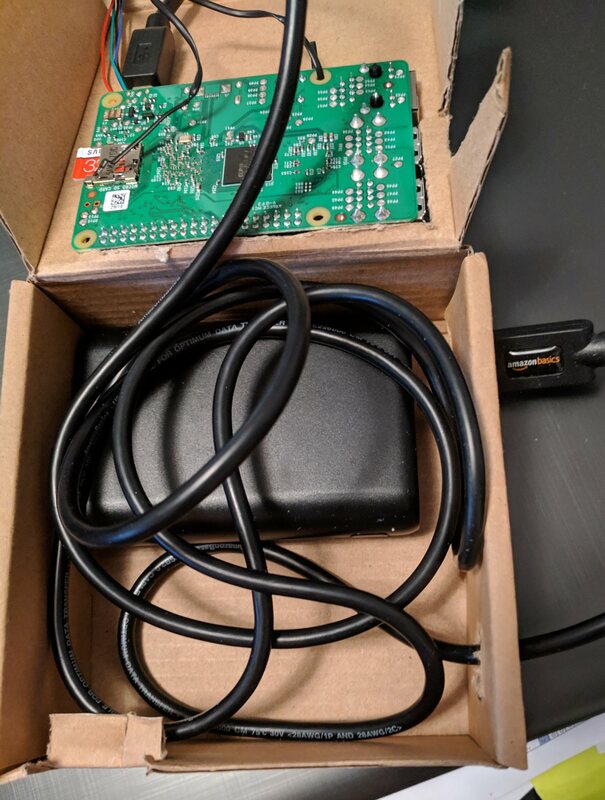 Battery pack for Raspberry Pi. Micro USB Cable – keep in mind how long you will need to reach the battery pack. A piece of foam to cover the microphone. Not required, but reduces the pickup of air. I decided there was too much feedback coming from the microphone and speakers being so close together. 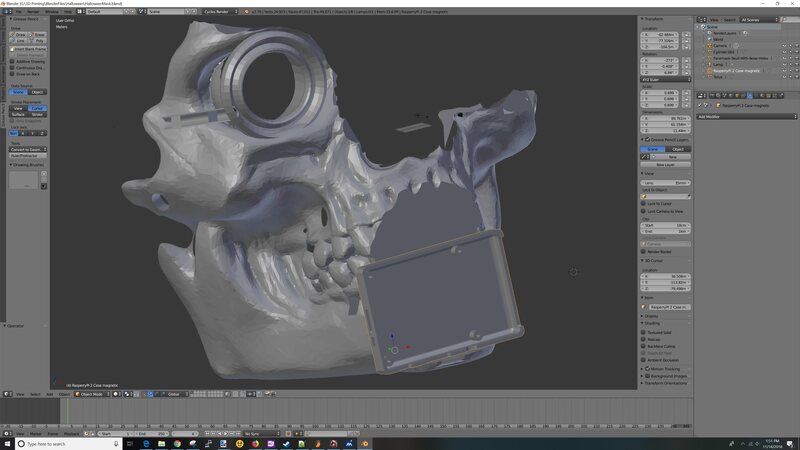 My 3D printed mask would have solved this issue, but I wasn’t able to complete it in time. 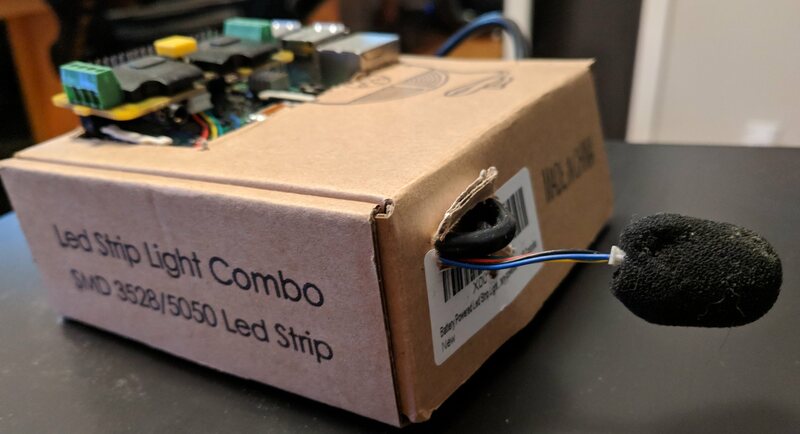 I built a simple case out of cardboard to house the whole device including the battery. Make sure to include a way to easily remove the cord from the battery to turn it off. 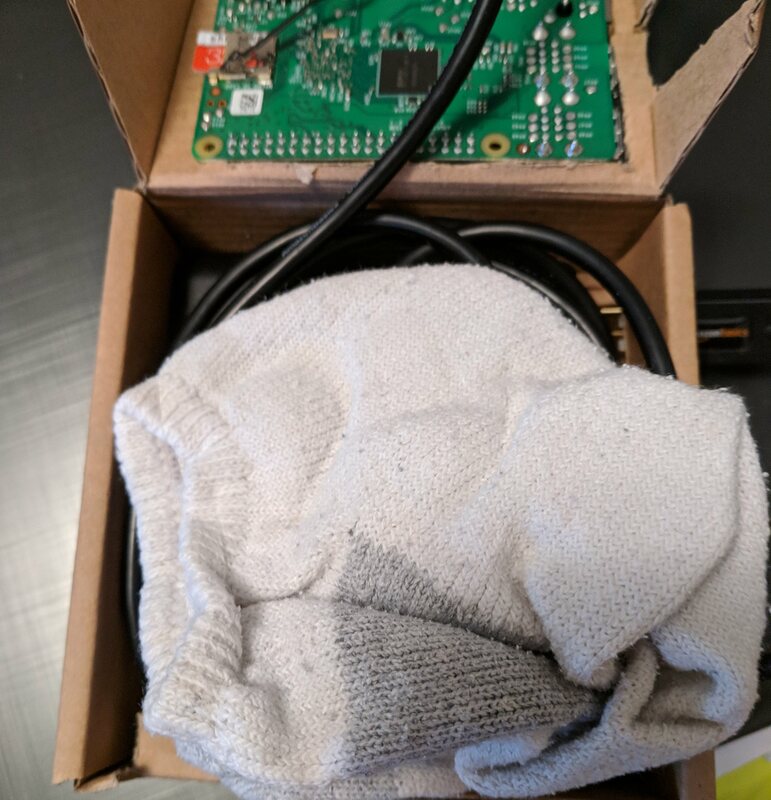 Adding a piece of fabric, I just used a sock, really helps absorb the sound so the microphone doesn’t pick up the speakers. I found it much easier to cut the microphone free by using a hobby knife to slowly enlarge each hole. Slowly enlarging each hole until the microphone breaks cleanly off. 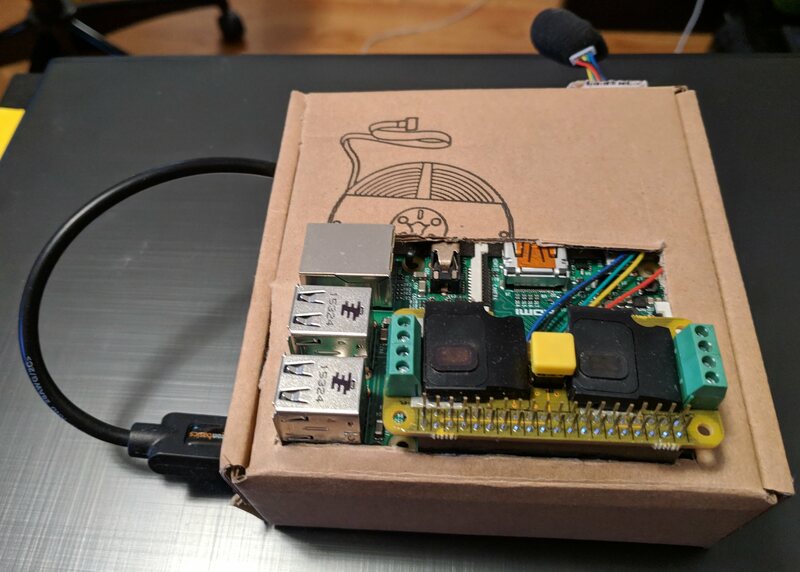 I used a Raspberry Pi 2 because I already had an extra. 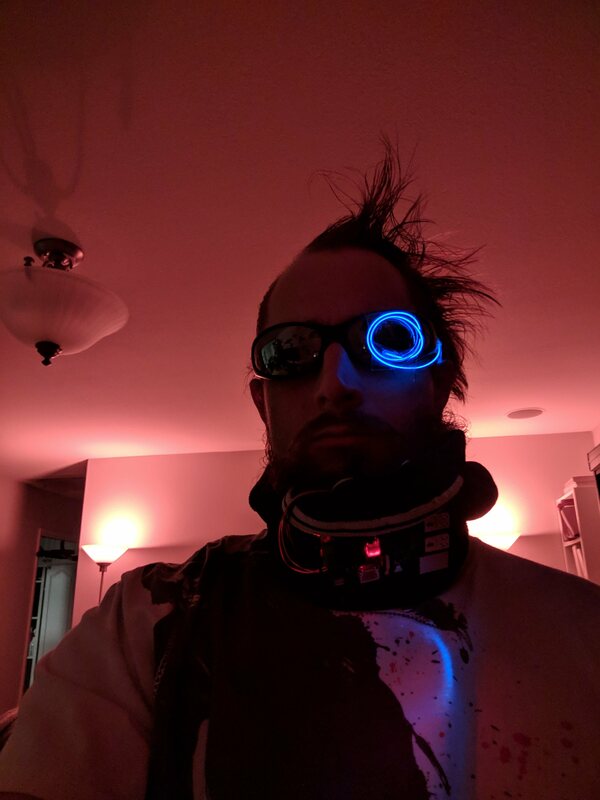 I incorporated this into my costume to enhance the whole cyborg look as well as utilize such a large (comparatively) computer. The full size can be used for a ton of different projects, so if you want a full size or aren’t going to use it here full time, grab the newer one. Haven’t found a good video editor yet and the one that I was testing evidently had only a single export before the trial timed out. I’ll review further and see if I can find one that’s easy to use and ideally free. Ignore the cutoff text for the moment (very unclear where the cutoff was for the text), the sound is what’s important anyways.